Risingbd Desk: Prime Minister Sheikh Hasina on Tuesday urged the children and juveniles to advance the country being imbued with the spirit of patriotism and the liberation war. “You’re the future leaders of the country. So you’ll have to take the country forward by loving it deeply and being imbued with patriotism and the spirit of the liberation war,” she said. Extending her heartfelt greetings to the countrymen including the children as well as the expatriate Bangladeshis on the occasion of the Independence Day, Sheikh Hasina reiterated her determination to materialise Bangabandhu’s dream by establishing Bangladesh as the most peaceful, developed and prosperous country in South Asia. 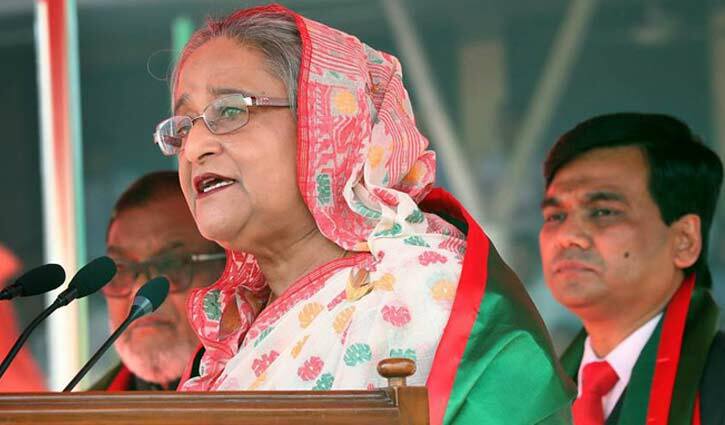 “We want that you (children) will build Bangladesh as a developed and prosperous country … we will fulfill Bangabandhu’s dream by establishing Bangladesh as the most peaceful, developed and prosperous country in South Asia Insha Allah,” she said. The prime minister was addressing the Independence and National Day-2019 rally of children and juveniles at Bangabandhu National Stadium here this morning. 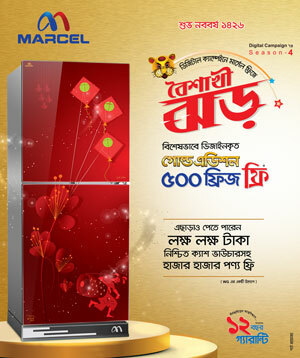 The Ministry of Liberation War Affairs and Dhaka District Administration jointly arranged the function. Liberation War Affairs Minister AKM Mozammel Haq and Deputy Commissioner of Dhaka Md. Abu Saleh Mohammad Ferdous Khan were present on the occasion. Sheikh Hasina renewed her call to parents, guardians, teachers and religious leaders to remain careful in keeping the children out of the influences of militancy, terrorism and drugs addiction. She said the government wants to free the country from terrorism, militancy and drugs abuse. “So I would like to urge the parents, guardians, teachers and religious leaders to inform the children and juveniles about the bad impact of militancy, terrorism and drugs abuse and protect them from those menaces,” she said. The prime minister said the parents and guardians must remain alert about where their children go and with whom they develop relations. On the occasion, Sheikh Hasina distributed prizes among the winners of nationwide school competitions on singing the national anthem in the correct melody and rhymes. The prime minister asked the children and juveniles to attentively listen to the words of their parents and teachers and obey discipline. “We expect that you’ll lead a beautiful life,” she said. Sheikh Hasina also urged them to flourish their merit and thinking by practicing sports and games and culture alongside pursuing study. “Practicing sports and games and culture is very much essential along with education to build a healthy nation,” she said. The prime minister said the aim of her government is to groom the children and juveniles as healthy and flourish their talent and thinking. “So we’re arranging various sports and cultural competitions for them to achieve the goal,” she said. Highlighting various steps for the welfare of the children, the prime minister said her government is taking different initiatives so that they (children) can advance keeping pace with the world. “We’ve launched satellite (into space) and built Digital Bangladesh… we’re providing computer education to the children,” she said. Spelling out her government’s steps for development of education, the prime minister said her government introduced pre-primary education and framed an education policy. “We’re distributing books free of cost up to the secondary level and providing scholarships and stipends among the students up to the higher education level… we want to build Bangladesh through education,” she said. Sheikh Hasina said the government also constituted the Education Assistance Trust Fund so that the poor but meritorious students get scope for study. She also recited from Poet Sukanta Bhattacharya’s Chharpatra in communicating her desire to turn the country into a suitable abode for the posterity reciting, “Choley jabo, tobu aaj jatakkhan dehe achey pran, pranponey prithivir sorabo janjal…….. E bishwake e shishur basjoggya kore jabo ami”. The English lines could be read as: “I will leave, but I will clear the odds with all my efforts so long I’m alive. I will make the earth livable for the children; it’s my firm commitment to a new born”. Sheikh Hasina paid glowing tributes to Bangabandhu, four national leaders, martyrs of War of Liberation, all Freedom Fighters and the mothers and sisters who had lost their chastity and suffered immense torture in the hands of the occupation forces during the war time. On the occasion, the galleries of Bangabandhu National Stadium was tastefully decorated with portraits of Father of the Nation Bangabandhu Sheikh Mujibur Rahman, four national leaders, Bir Shresthas, photographs of the prime minister and natural beauties of Bangladesh. Earlier, the national anthem was performed when the prime minister arrived at the reception dais of Bangabandhu National Stadium at 8 am. Sheikh Hasina later reviewed the parade by walking and took salute. She also witnessed the march past of smartly turned out units of school students and enjoyed their spectacular displays on different themes of the War of Liberation. After the parade, the theme song of today’s rally ‘Nongar tola tola somoy je holo holo’ was performed. A decorated boat built on the occasion crossed the stadium ground with the tune of the song which was followed by a motorcade projecting the development and progress of the Awami League government. Ministers, PM’s advisers, parliament members, dignitaries and high civil and military officials were present on the occasion.